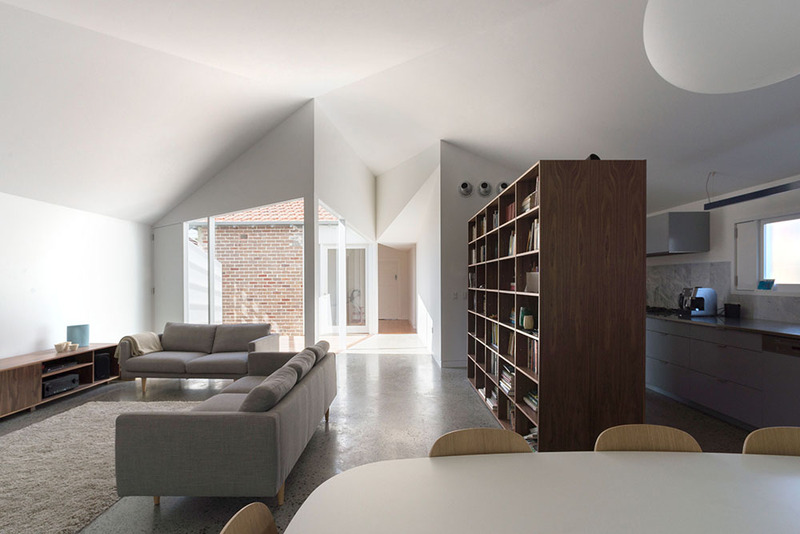 This 1920s brick bungalow is located in a heritage conservation area in the suburban suburb of Haberfield. When it was first established in 1901 Haberfield was marketed as the ‘Model Suburb’ and based on the City Beautiful Movement it soon became known as the ‘Garden Suburb’. Today Haberfield retains its key garden suburb characteristics with its tree-lined streets, picturesque gardens and period architecture. Haberfield is significant at both a state and national level. Houses in Haberfield were typically ‘detached’ double-brick dwellings situated on their own block of land measuring 50′ x 150′ (15 m x 45 m). No two houses were alike, although there were many common themes throughout the suburb. The roofs were either slate or Marseilles tile. All had front verandahs. Decorative features spanning the Victorian and Federation period, typically included leadlight windows depicting Australian flora and fauna, Art Nouveau timber detailing and tuck-pointed brickwork. Its gardens contained distinctive planting, fences, gates and curving tiled paths. MHM visited this house as part of the Australian Architecture Association’s At Home With The Architect Series. We were particularly taken with Matthew Bennet’s respect for the original house and positive approach towards the rather restrictive (but necessary) Heritage Conservation Area protections that Ashfield Council has in place. Ensuring Residential roofs of terracotta or slate tiles. Rather than feeling frustrated and restricted by these guidelines, Bennet and Trimble accepted, respected and worked successfully within them. The end result is a modest, sympathetic, clever addition that has made very effective use of the limited space and budget. 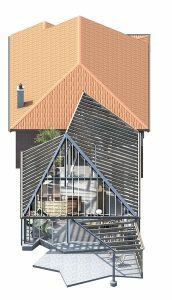 The hipped terracotta roof form of the addition is re-aligned to create a courtyard within the addition and to minimise contact with the original dwelling. 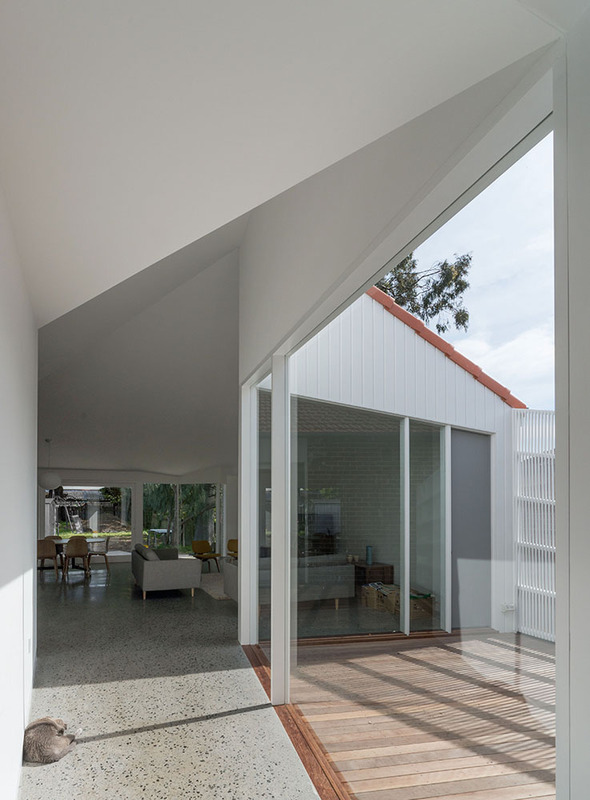 The ceiling of the addition follows the line of the roof envelope to maximise internal space and amenity within a single storey. The fenestration adopts the timber framing and vertical proportions of the existing windows but enlarges and folds them to define new edges to the courtyard and garden. The figure of the rear terrace inflects to accommodate significant eucalypts within the back garden.